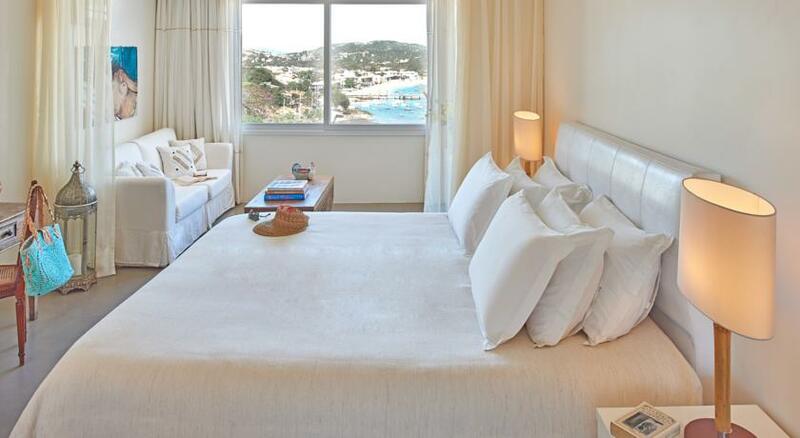 For chic luxury with eye-watering views, Casa Brancas boutique hotel is the answer. Centrally located, it is a romantic hideaway perfect for anyone looking to treat themselves. 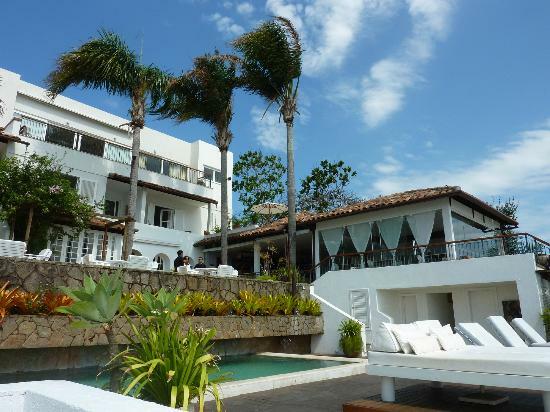 With an open-air Mediterranean restaurant, individually decorated rooms and an attractive outdoor pool space, this is a beautiful retreat in the heart of Buzios. Less than 2km from Praia Azeda beach lies this refined hotel, overlooking the South Atlantic Ocean and glistening bay below. Originally settled by pirates and slave traders, the sleepy fishing village of Buzios was thrown into the limelight in the 1960’s thanks to a prolonged visit by Brigitte Bardot and her Brazilian beau Bob Zagury. The ensuing media attention on one of the most beautiful places in the world created a frenzy to discover this tropical paradise. Its location only a few hours’ drive from bustling Rio de Janeiro makes it an ideal escape for the rich elite of Rio, and the perfect beach addition to any holiday passing through the city. 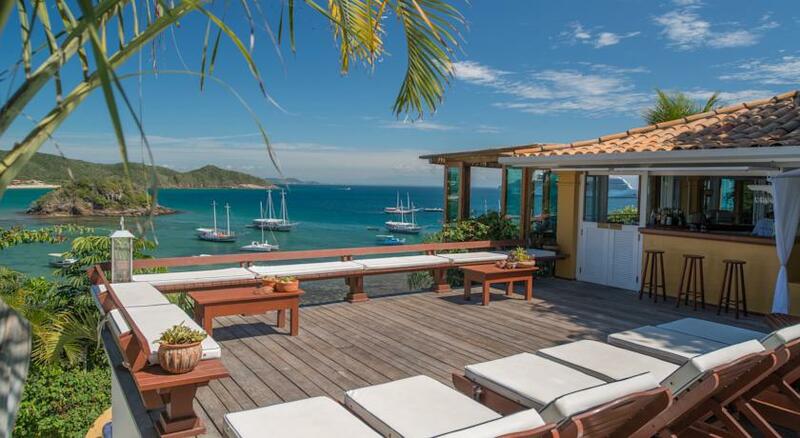 Today Buzios is Brazil’s most chic holiday location, designed for the discerning traveller and affectionately nicknamed ‘The St Tropez of Brazil’. 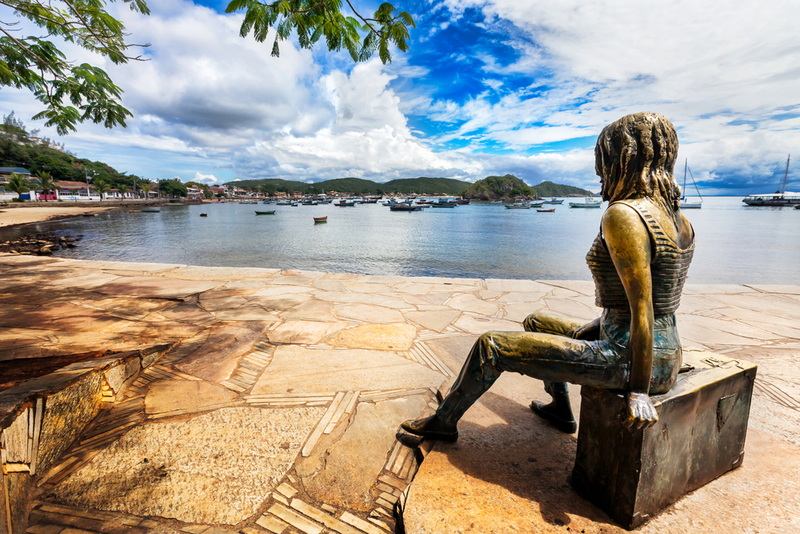 Brigitte Bardot still plays an important role in the town, with a famous bronze statue encasing her beauty forever on the beachfront at the main town of Armacao dos Buzios. 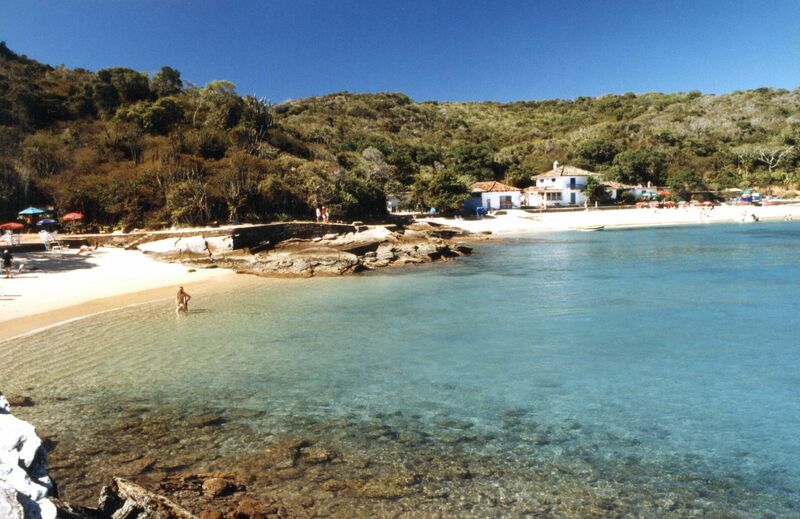 The Buzios peninsula is made up of three towns and 23 beaches, each more beautiful than the last. The sheer choice of sandy getaways means that you can select your own slice of heaven, and many are protected under local environmental laws to prevent development close to the shore. The west of the islet is blessed with sandy shores, rocky outcrops and lapping waves to create an idyllic tropical paradise feeling, whereas the east is peppered with wilder coastline and rushing waves. This makes the east one of the favourites with the surfing and windsurfing elite. One of the best beaches in the area has to be Praiada Azeda, which is both secluded and utterly unique, with a pink hue to its sand and wave crashing directly up to the rocks on either side. Water here is shallow and calm, and perfect for snorkelling or for little ones to play. João Fernandes is also popular with families, thanks to its shallow waters and selection of restaurants and bars catering to a wide range of tastes. It’s also the busiest section of the peninsula and lined with luxury hotels and restaurants filled with chattering Brazilian high society. Although it's easy to while away the hours lying on the beach, there are in fact some brilliant activities in Buzios to get you up and moving! A great way to explore the various beaches is to hire a buggy from Rua das Pedras. These are a speedy way of getting from A to B and it's nice to enjoy driving with the wind in your hair! Morning or afternoon schooner cruises are also well worth their money and are a fantastic and enjoyable way to see more of the peninsula. Those looking for a lively night scene should head for Geribá with its younger crowd and surfing vibe. The main buzz is centred around the Fishbone Café which serves excellent grilled fish and plays music throughout the day. There’s also a beautiful walking track which connects Geribá with the beautiful Ferradurinha beach. 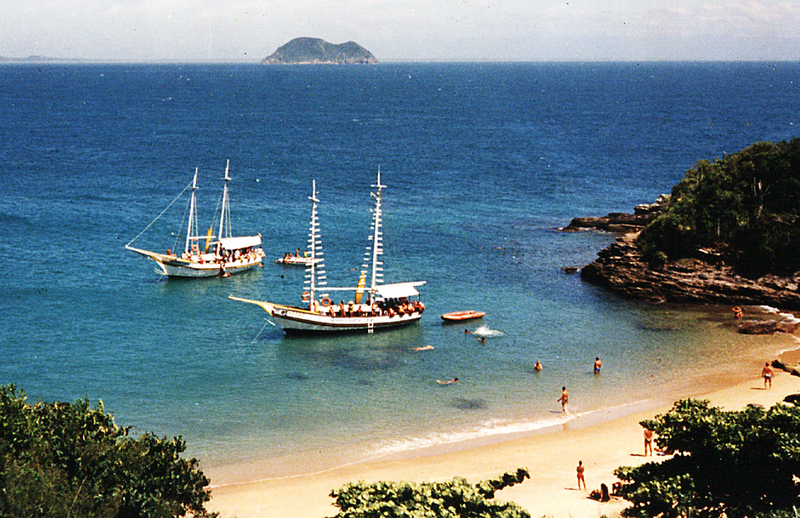 The main town of Armacao dos Buzios provides ample nightlife for a few days. Be sure to stop by Rua das Pedras as the sun sets for a choice of bars and restaurants offering excellent food, along with some live street performers and dancers. One of our favourite places to dine in Armacao dos Buzios is Salt, for its gorgeous outside seating and mouth-watering seafood including octopus and some of the best salmon you’ll taste in Brazil. After you’ve eaten your fill, head back to Rua das Pedras or Orla Bardot and seek out one of its many live music bars or pulsating nightclubs for an electric night of partying, where people are there to see and be seen. If you are looking for a few days of relaxation on your holiday to Brazil then why not head up the coast from Rio de Janeiro to Buzios? 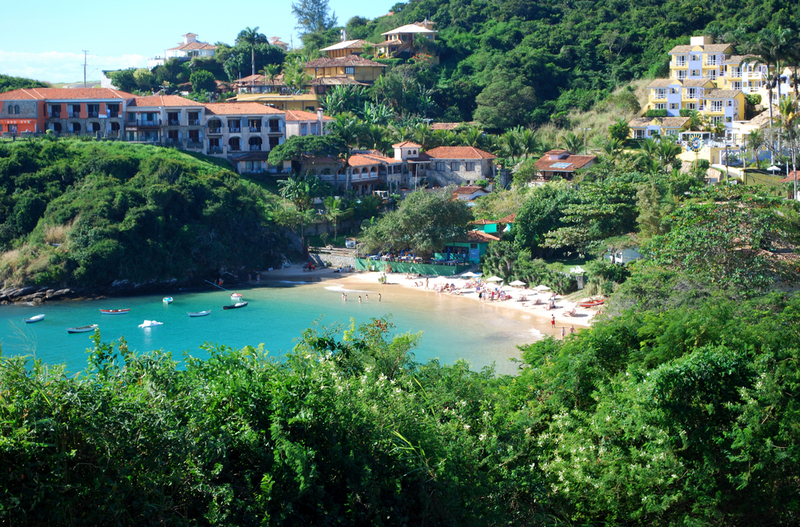 Formerly a sleepy fishing village, today Buzios has a bustling town centre and waterfront. The town has a laid-back atmosphere and is a popular weekend retreat with the locals. There is no shortage of restaurants, boutiques and bars in town to explore. However the main reason for coming to this area is because the surrounding peninsula is home to more than 20 magnificent beaches boasting crystal clear waters and powdery white sands. You can explore the area easily using local transportation or you can hop aboard a Schooner Boat Trip to explore bays and inlets that are more off the beaten track. 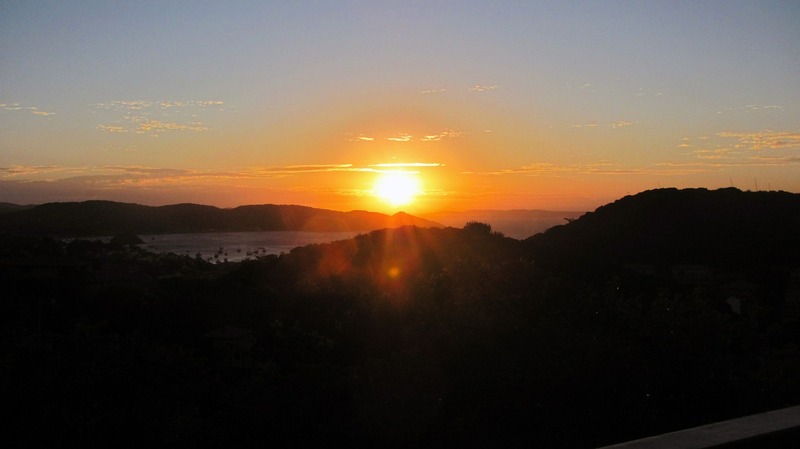 It's a great area for a few days relaxing at the end of a great holiday to Brazil and Latin Routes has a variety of hotels in Buzios from great value Pousadas to luxury hotels with amazing views! Buzios is open all year round and great to visit anytime. However for the best beach weather we would particularly recommend visiting from September through to April.